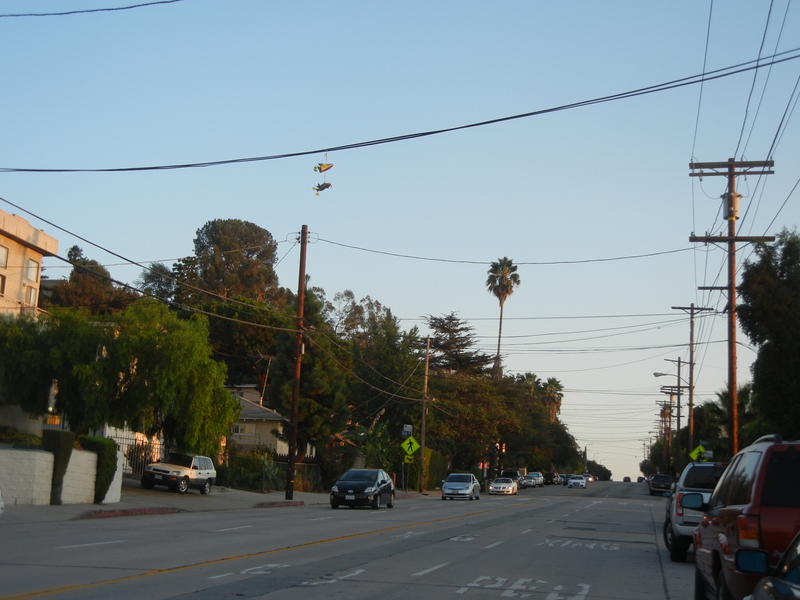 There used to be these rather disturbing stuffed animals hung on telephone wires across the Eastside linked to the ice cream truck, Hearts Challenger, but recently they seem to be pleasantly replaced with flower-pot shoefiti. 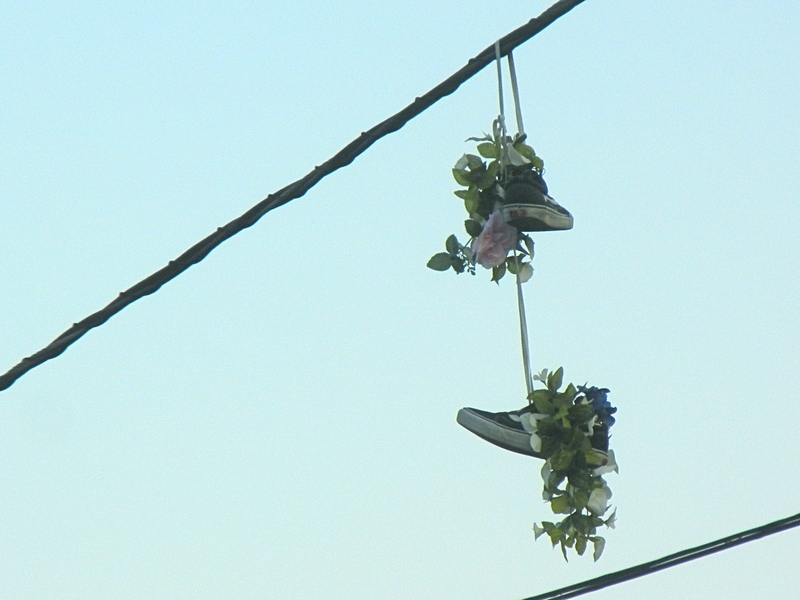 The shoes are not only a friendlier gesture than the warrior-faced animals, but it’s also a kind repurposing of the shoe flinging practice traditionally linked with bullying, turf wars, and drug houses. 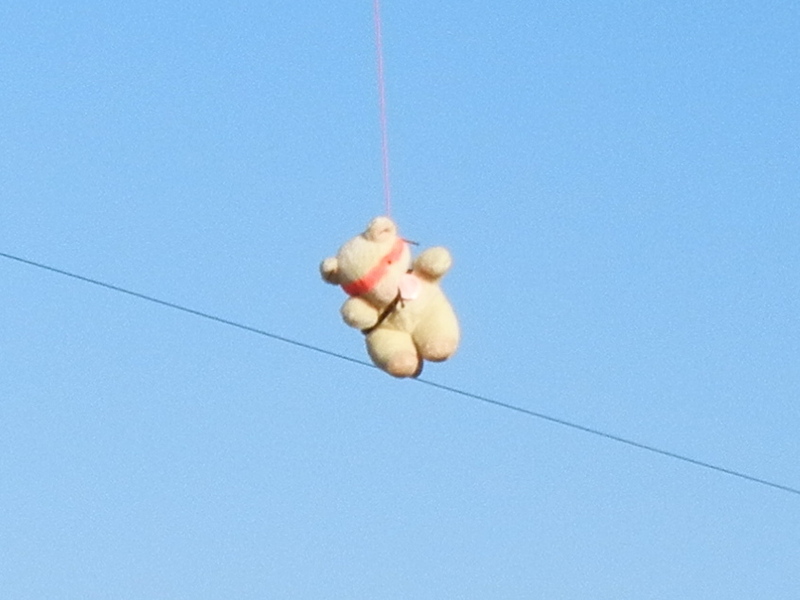 Anyone know who’s doing this? 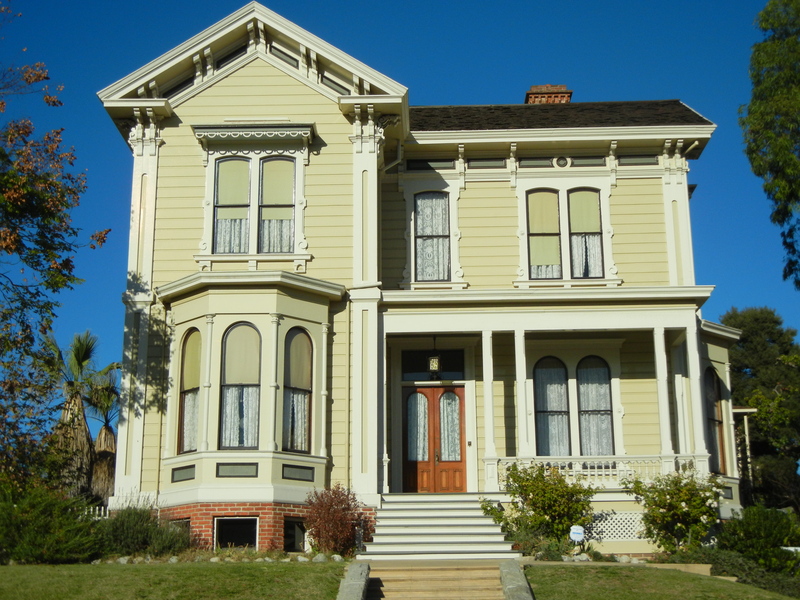 Former Chief of Police, Samuel Calvert Foy, built his home (top left) in 1872 on the corner of 7th and Figueroa. 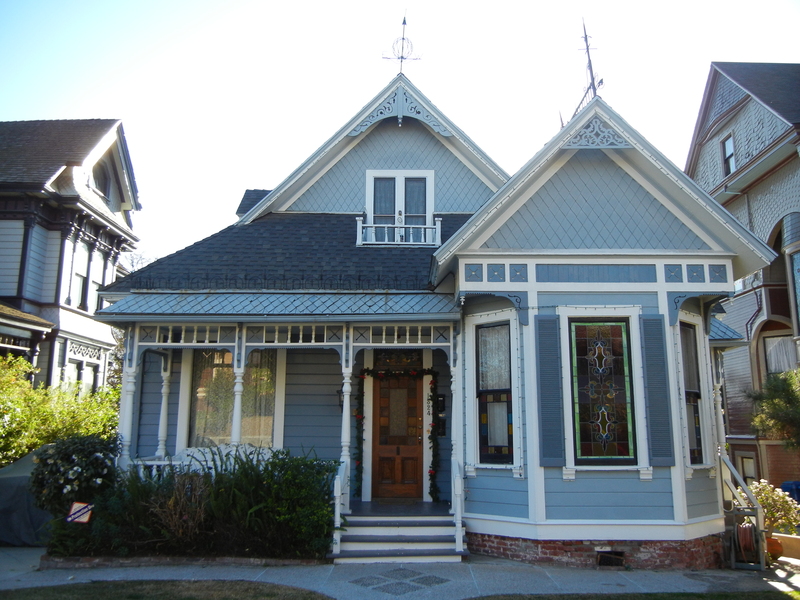 In 1921, the house was moved down the block near the Good Samaritan Hospital. 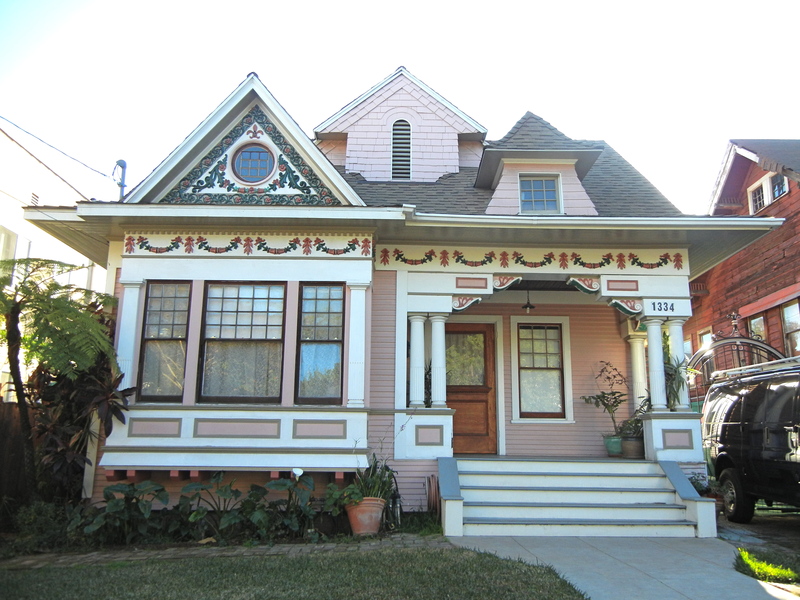 In 1992, the house was moved, yet again, to 1325 Carroll Avenue, a street already included in the 1983 designated Angelino Heights Historic Preservation Overlay Zone (HPOZ). 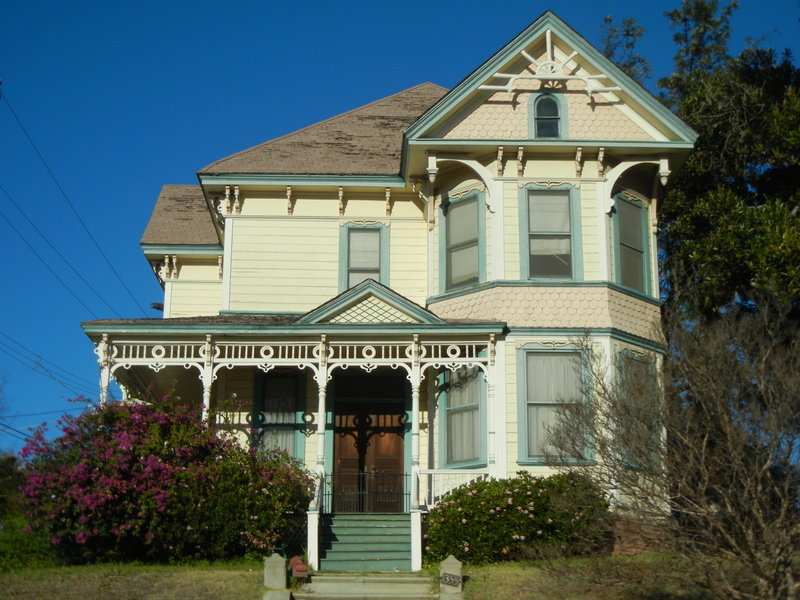 Though this is not the typical tale for the life of a house, it is not uncommon for Los Angeles buildings with Victorian virtues to be relocated. 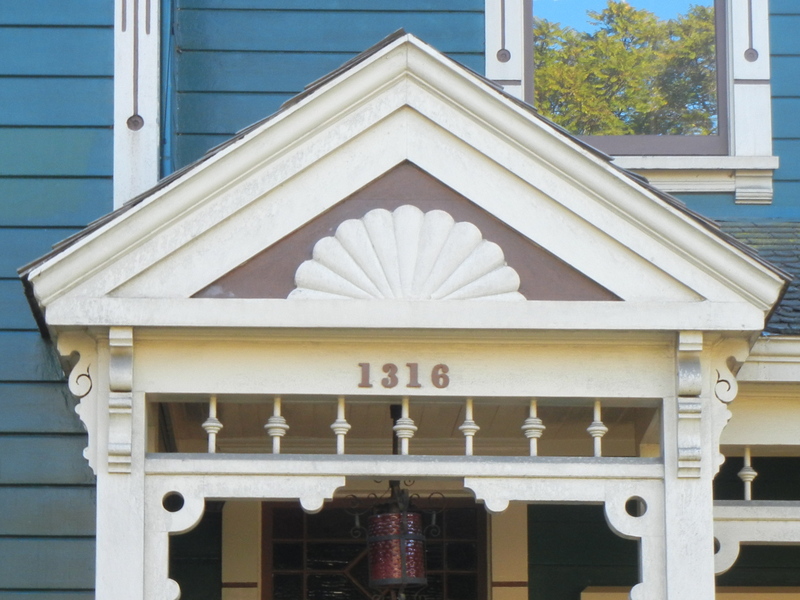 While Heritage Square is the most obvious example, both 1321 and 1325 Carroll Avenue were also moved to the street in 1978 after spending nearly 90 years on Court Street, just a half mile away. 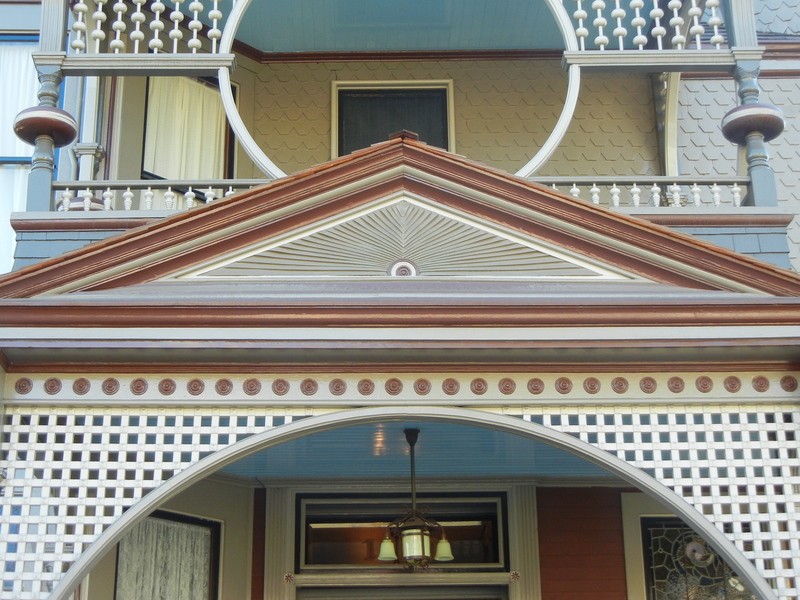 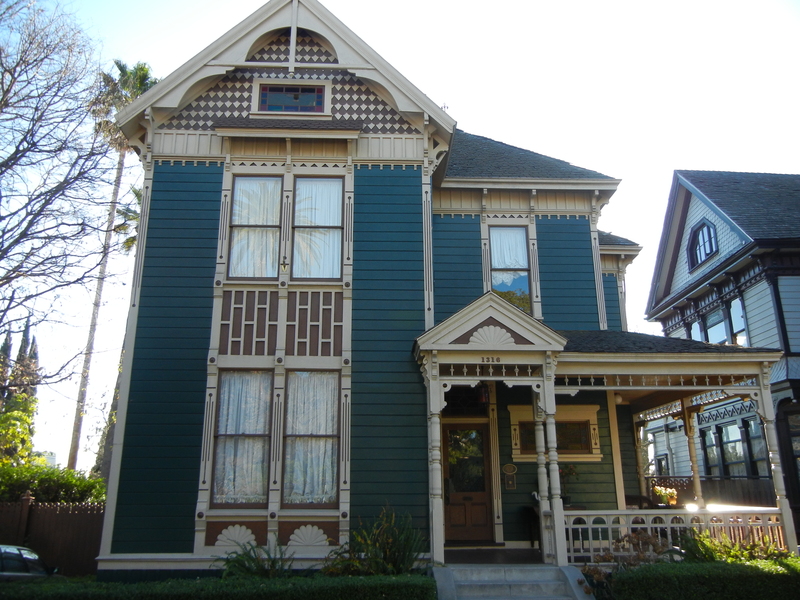 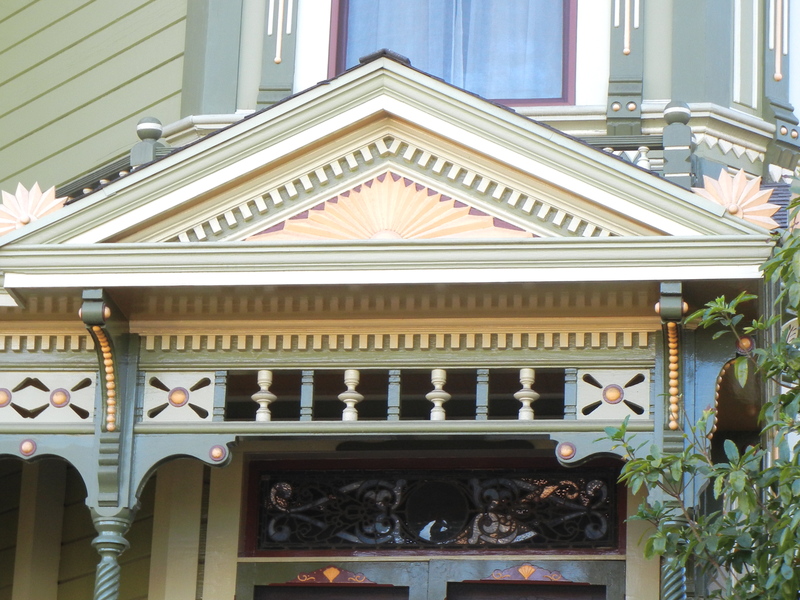 Carroll Avenue has become a safe haven for Victorian homes namely due to the Carroll Avenue Restoration Foundation, the Angelino Heights Community Organization, designation on the National Register of Historic Places, and its HPOZ status. 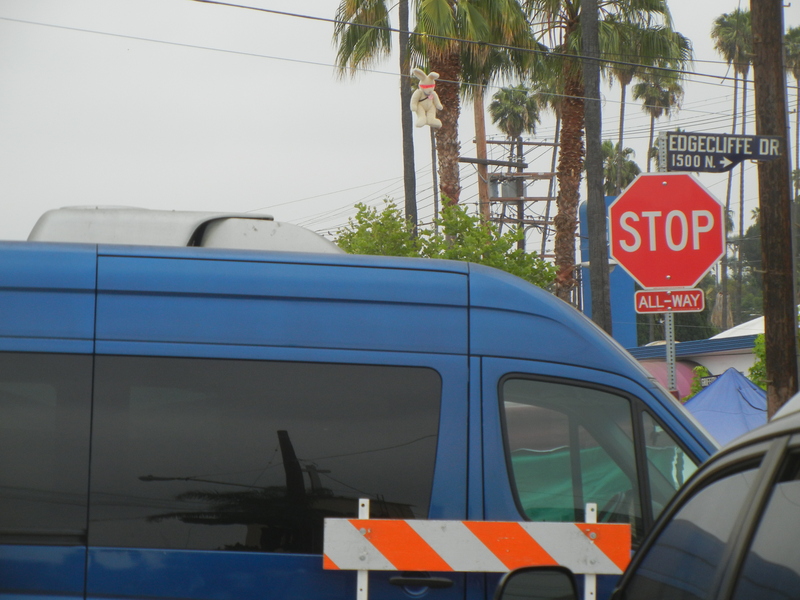 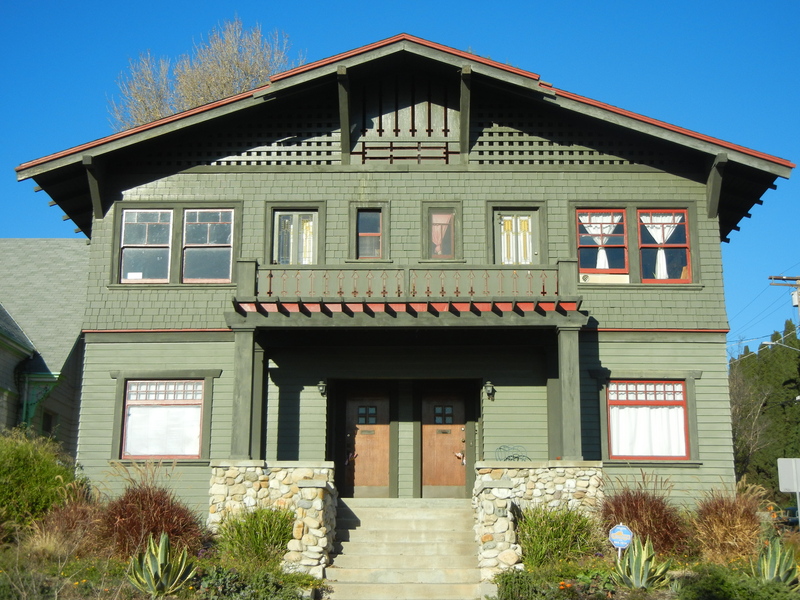 In fact, Angelino Heights was the first HPOZ in Los Angeles. 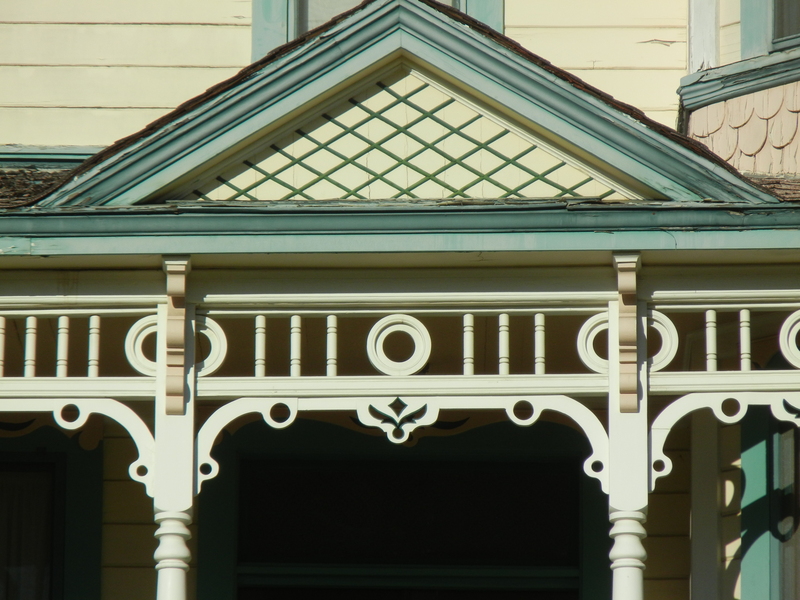 When it comes to being first, Angelino Heights is also often referred to as Los Angeles’s first suburb. 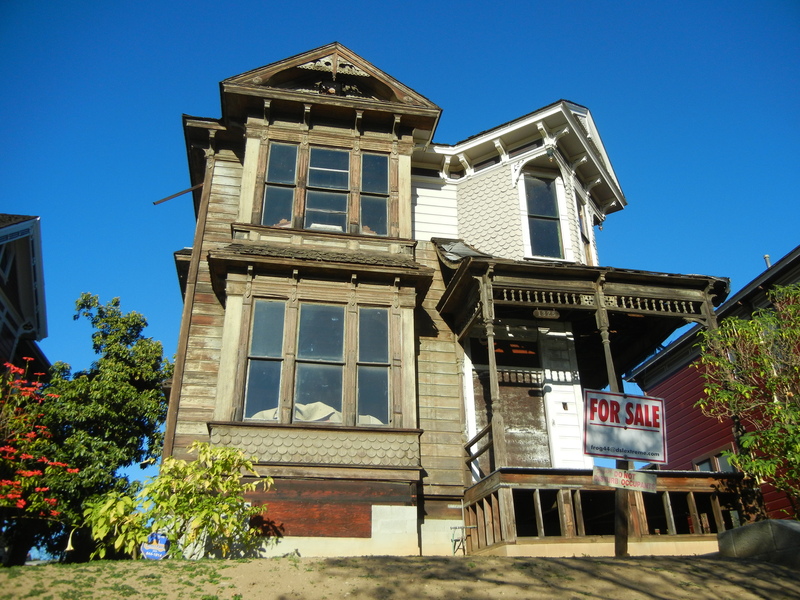 The land was developed during the railroad price wars of the mid-1880’s when similar developments were also taking shape in Lincoln Heights, Highland Park, University Park, and Boyle Heights. 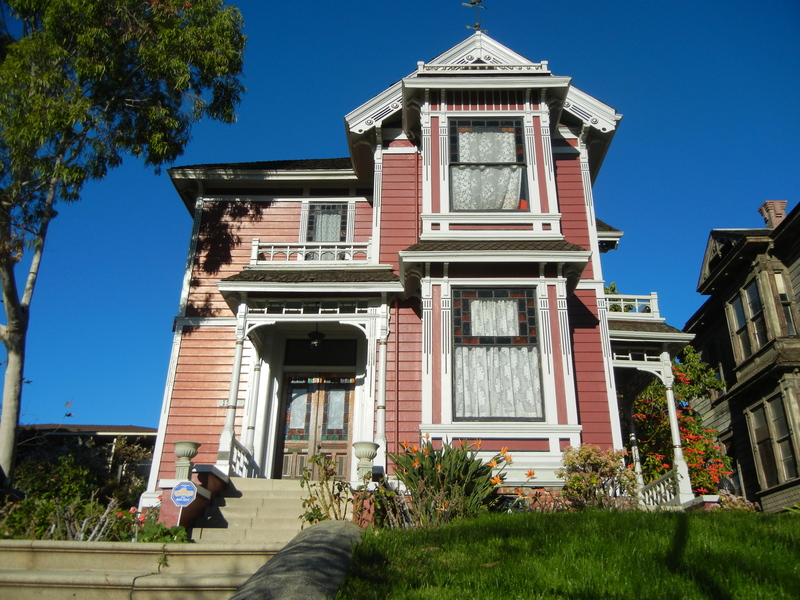 Perhaps a more truthful and relevant observation is not whether or not this neighborhood came first, but that it stands last with the highest concentration of Victorian homes in Los Angeles. 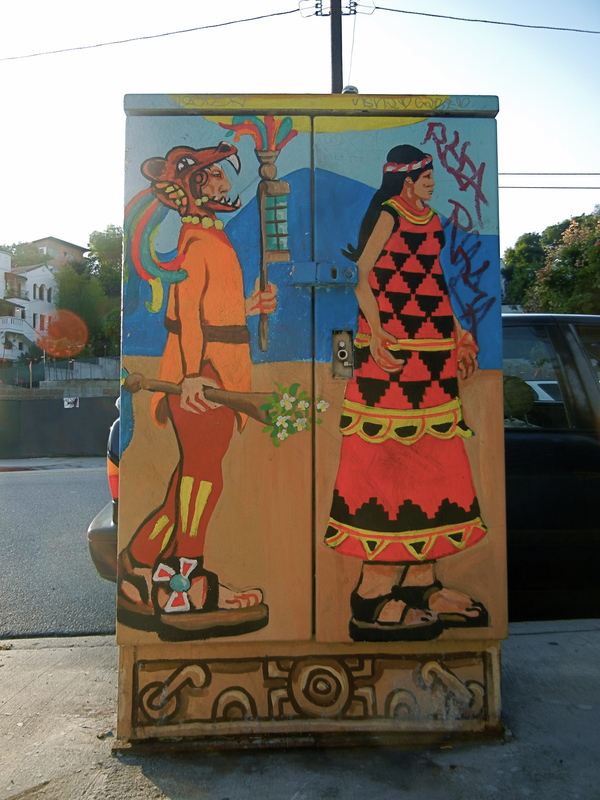 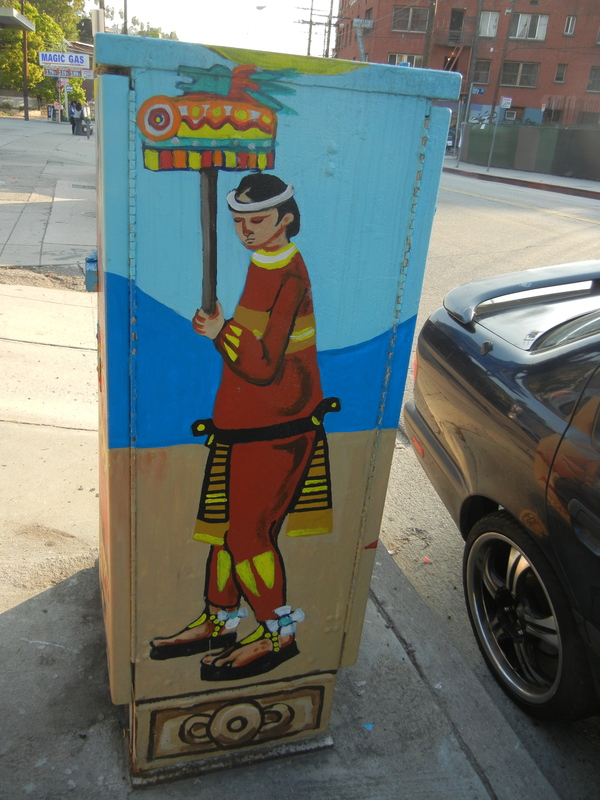 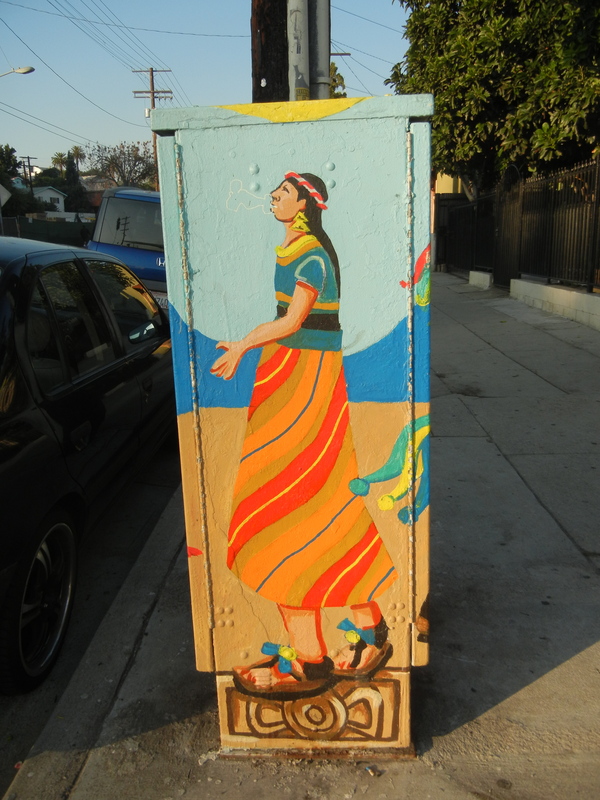 Electrical Box: Echo Park Ave. and Morton Ave.
Electrical Box: Echo Park Ave. and Morton Ave., Echo Park.